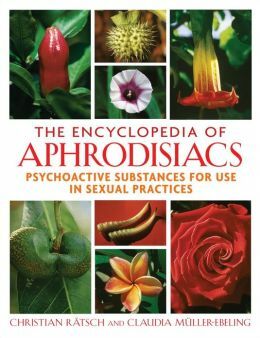 This 735-page opus is the culmination of more than twenty years of research into ethnopharmaceuticals with aphrodisiac reputations. Culture, this scientist and literature expert conclude, determine what makes a substance arousing. Science once again takes a backseat to human imagination. This encyclopedia is comprehensive. Each entry includes chemical breakdowns, heavy use of photographs and illustrations and passages sharing folklore related to the item. Along with roses and rhinoceros horns Ratsch and Muller-Ebeling include recreational and street drugs. Each entry pairs folklore and science with stunning illustration. Put this one on your coffee table. I dare you.